Today, with a new strategy of the Life Cycle Initiative in its final stage of development, we are also finalising the conclusion of the activities of Phase 3 (2012 -2017). The last five years has been a fruitful period for the Initiative, to fulfil our mission to enable the global use of credible life cycle knowledge. We have observed a growing number of national life cycle networks and practitioners for the global life cycle community, many of them with the help of the projects, activities, publications and communication of the Initiative. Between 2002 and 2017, the Life Cycle Initiative contributed to the global growth of national LCA networks – from 11 to 49 networks, and the following graph highlights some of our achievements. In phase 3, we have five flagship projects in developing life cycle knowledge, tools and capacity. The area of life cycle impact indicators in particular has seen key successes throughout the years, and some of the recommended indicators are being adopted by large organisations and are influencing processes such as the recommendations for impact indicators in the European Commission’ Environmental Footprint package. Other key successes include driving consensus in the area of managing LCA databases, Social LCA, or more application-oriented guidance such as the Organizational LCA guidance which has been recently road-tested by 12 institutions globally, as well as the guidance on hotspots analysis. In terms of capacity development, the Initiative has been actively supporting the establishment and development of national life cycle networks, through various training and networking events. We have also implemented the LCM-CMM (Life Cycle Management – Capability Maturity Model) model in 8 pilot projects, which operationalise life cycle thinking in product development, marketing, and strategic decision-making in business. Altogether, the Initiative has become a global platform to connect the knowledge and best practices from life cycle community with practical users. 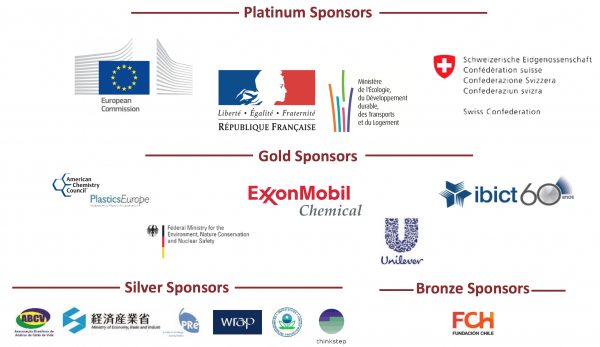 We would like to seize this opportunity to thank all the organisations and experts that have actively contributed to these achievements, and especially our donors for their trust and interest in our work. Also, thanks to all the readers that follow our activities and newsletter, for your always constructive and useful feedback. We are now on the path to the year 2030, the year which the global community sets as our target year for achieving the Sustainable Development Goals. We believe that the Life Cycle Initiative can play a pivotal role to meet the growing need for more life cycle knowledge from global policy and business agendas, and serve as an interface between users and experts of life cycle approaches. With a more focused delivery, transparent governance, more inclusive membership, and ambitious fund-raising strategy, the Life Cycle Initiative will more effectively bring Life Cycle Thinking to the mindsets of decision makers with the practical knowledge and tools to enhance the sustainability of their decisions. Please stay tuned for more details on our new strategy in the coming editions of the newsletter, and get ready to (re)join the Initiative as an active member for a brand new period.